Now that the New Year is fully upon us, this week seems to have been the opportunity in the election(geek) world to look ahead to what’s happening in 2015. Over at electionlineWeekly, there’s a helpful scorecard of the 13 new chief state election officials (12 Secretaries of State and Alaska’s Lt. Governor), including short bios, website links and – most importantly – Twitter handles. High-profile legal challenges and controversies aside, 2015 will be a year when election officials will be focused on implementing big changes to the election process in states across the nation. One area where this will be the most significant is voter registration, where states like Illinois will be moving to build out same-day voter registration under a new state law and others, like California, will be putting the finishing touches on a statewide voter registration database that will make registration easier to manage for voters and election officials alike. Similarly, states with online registration will continue to look for opportunities to emulate Delaware and now West Virginia in linking those systems to other agencies like motor vehicle agencies and social service providers. You will also see new states joining Electronic Registration Information Center (ERIC), the interstate registration exchange–which will create opportunities to identify new voters but will also pose challenges to states having to incorporate this data into their existing systems. Another big topic to watch is the continuing push to upgrade voting technology–and find the money to pay for it. Virginia and Maryland have announced plans to seek state funds to obtain new machines, which puts an actual price tag on these upgrades and will force legislators to balance election modernization with other funding priorities. Similarly, states like Minnesota will be watching the spread of electronic poll books across the nation and weighing whether, how (and how much) to spend on joining the trend. Finally, the move away from a “one day fits all” voting experience will continue. Colorado’s use of a “ballot delivery” system–where voters are mailed ballots and have the option to return them by mail, by dropping them off at designated dropboxes or by voting them at vote centers–will get a long look in other states as well. Indeed it should … thanks to Mindy Moretti at electionline and Wendy Underhill, Katy Owens Hubler and Michael Hernandez at NCSL for these nice “curtain raisers” on the year ahead. Stay tuned! Using Design to Prevent Downstream Frustration – Will It Fly in Elections? 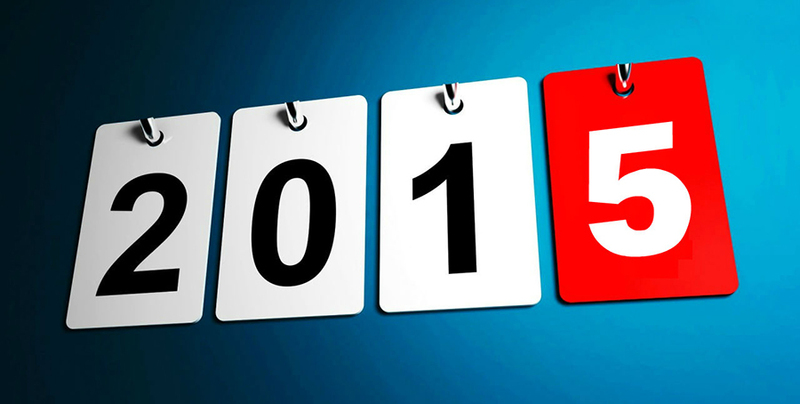 Be the first to comment on "Everybody’s Looking Ahead to 2015"